When I hear Michelin stars, I think of The French Laundry, Jean Georges, Le Bernardin. I think of white table cloths, shiny place settings, impeccable service and above all, flawlessly executed food. In my experience, they all serve really expensive meals. 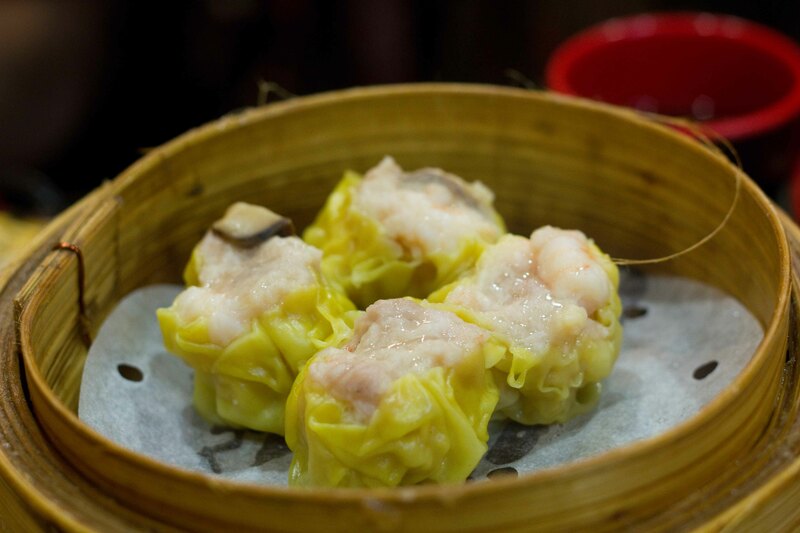 When I started researching a place to go to experience dim sum in Hong Kong, something caught my eye. 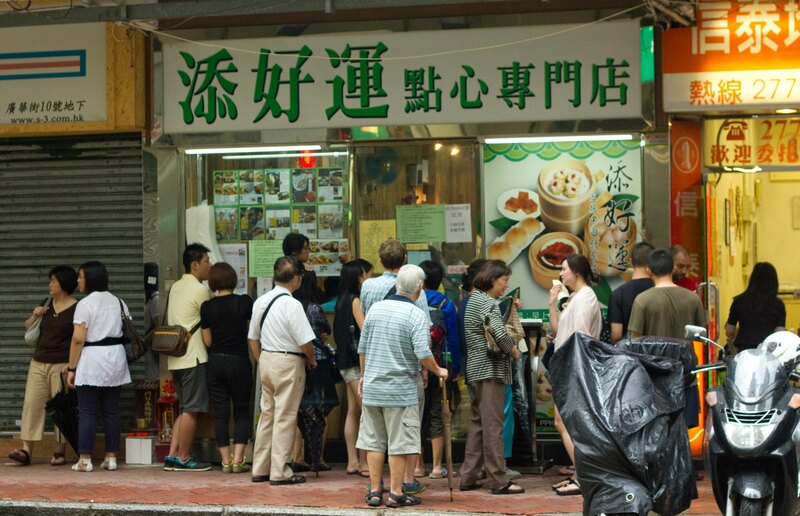 Tim Ho Wan… the cheapest 1 Michelin starred restaurant in the world that serves dim sum. How could I not make a visit? The restaurant is small and you have to go knowing you’re going to wait, but since it’s located in the fun shopping area of Mong Kok, as long as you know you’ll be killing time for a while, then it’s not so bad. With a couple of Chinese speaking friends as my eating companions, I sent them up to the no-nonsense woman at the front to get us our number. The restaurant opens at 10am, the line-up starts at 9am. We were there at 10:30am and were told, “1 1/2 hour wait”. We went to wander through Mong Kok, but since we were hungry we decided we needed something to tide us over. This isn’t where one would normally go for a snack right before eating in a Michelin starred restaurant… I couldn’t help myself though. 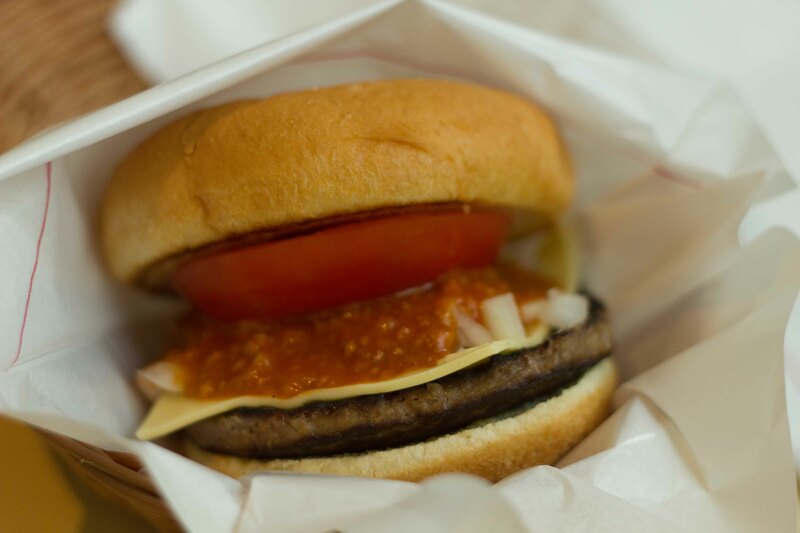 It’s my brother’s favourite burger. 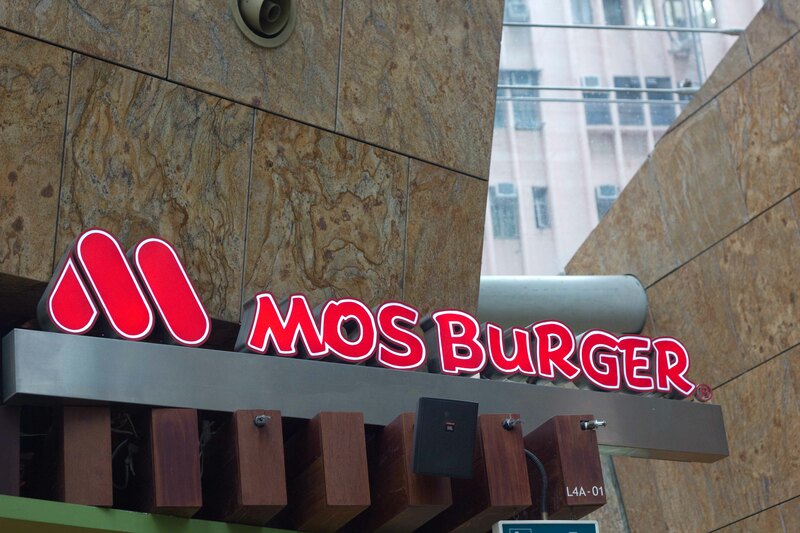 I think I was supposed to get the Spicy Mos burger, but all they had was a regular. Super delicious though! 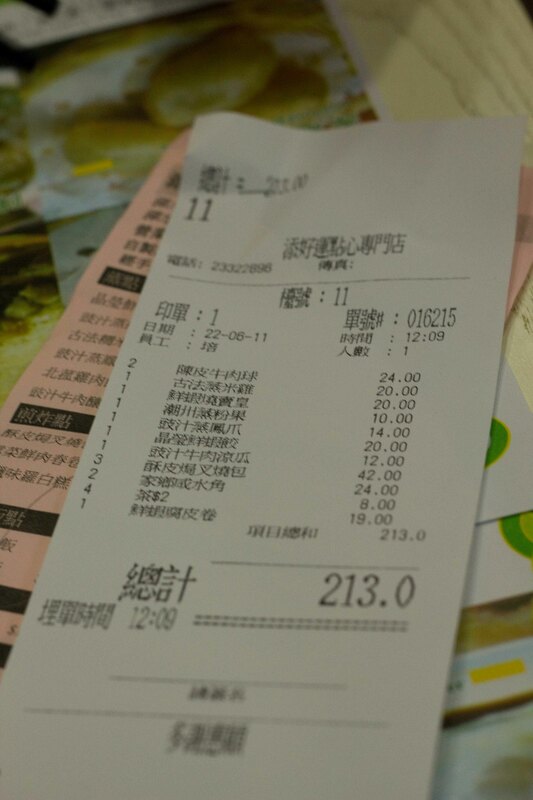 While we dined on our burgers, we looked through the menu that was given to us at Tim Ho Wan. We wanted to try everything, so we checked off one of almost everything. We went back to the restaurant after an hour because I didn’t want our number to be called and miss out. I was grateful to be with people who spoke Chinese as all there was a lot of jostling for position and they were able to understand the numbers being called. From my experience thus far, I was having a hard time believing that this hole-in-the wall restaurant could be on par with some of the great restaurants in the world. Sign on the door – Proof though that I was at the right place. We were told that they were cleaning our table, so we handed in our order and I started to get very excited in anticipation of our meal. The restaurant is small, with only 20-ish seats. The place settings? Tables are set with chopsticks, a bowl and spoon. Napkins, you have to fend for yourselves. So much for Michelin stars based on tableware. The service? The woman outside was not going out of her way to please anyone. Inside, it was abrupt, but efficient. So much for Michelin stars being based on impeccable service. The food? 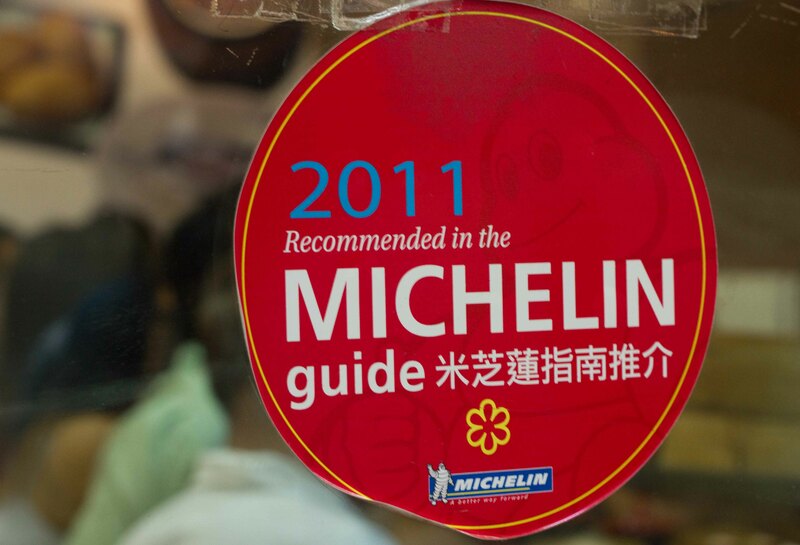 Well, by definition itself a restaurant is awarded 1 Michelin star if it is very good cuisine in its category. Was it? Heck yes! 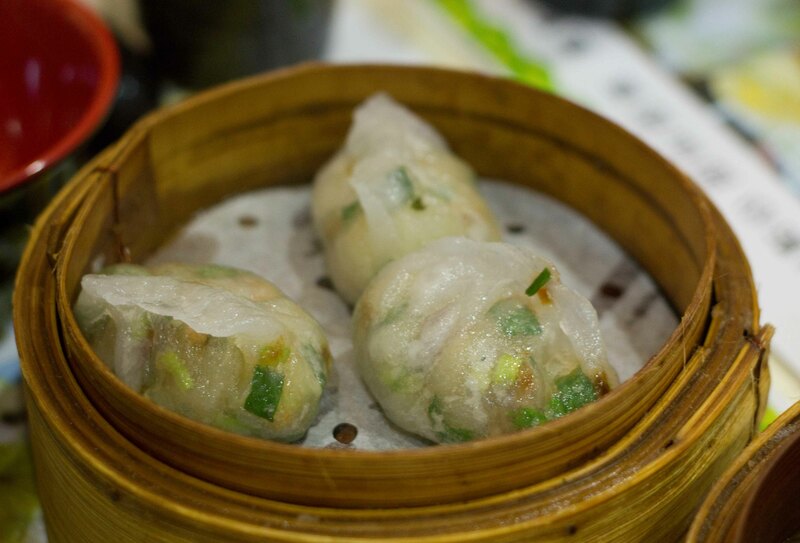 Steamed dumplings chiu chow style with ground pork, peanuts, chives. 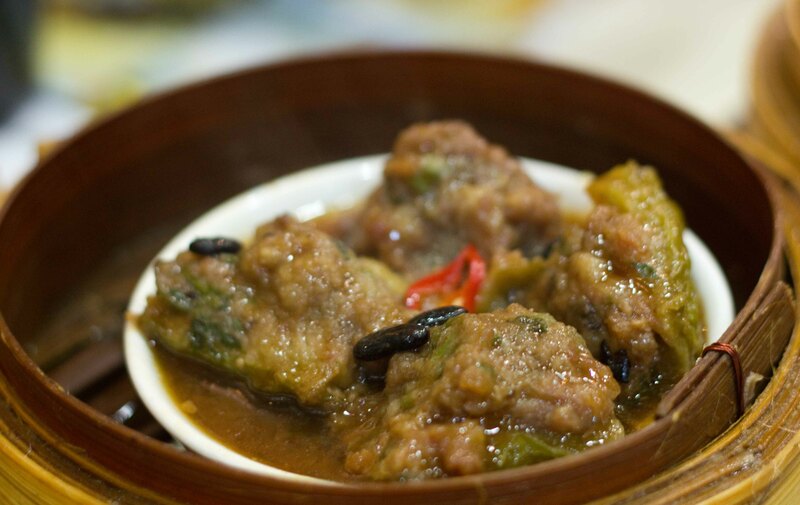 Steamed bitter melon stuffed with beef and bean sauce. I liked the contrast of the 2 flavours but the melon was really bitter! 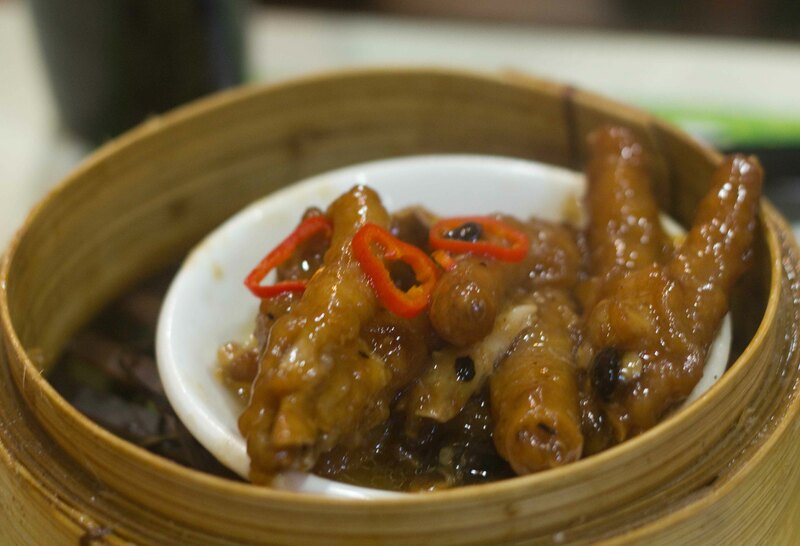 Steamed chicken feet with black bean sauce – Most chicken feet I’ve had before has been good, not great. This was wonderful as the skin had great flavour and just fell off the bone. Steamed shrimp dumplings (ha jiao) – looked so small compared to how they’re served at home, but the delicate paper-thin skin and shrimp meat inside was very tender. 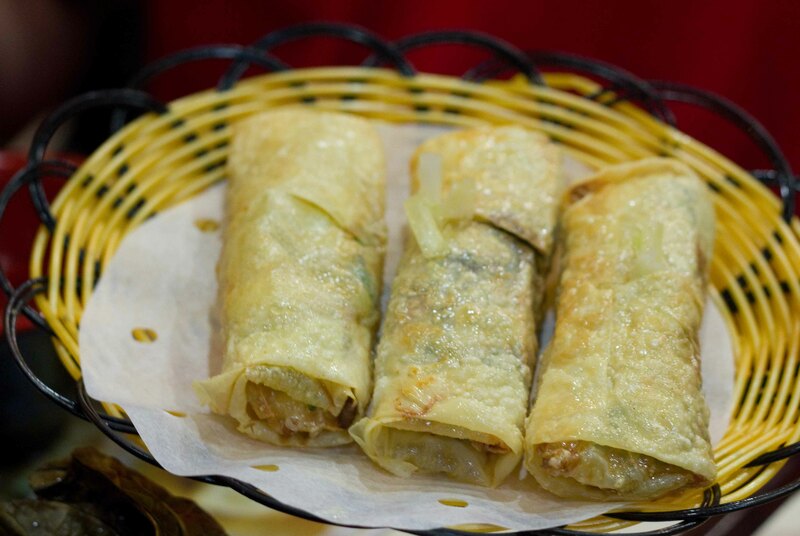 Deep fried bean curd sheet roll with shrimp. 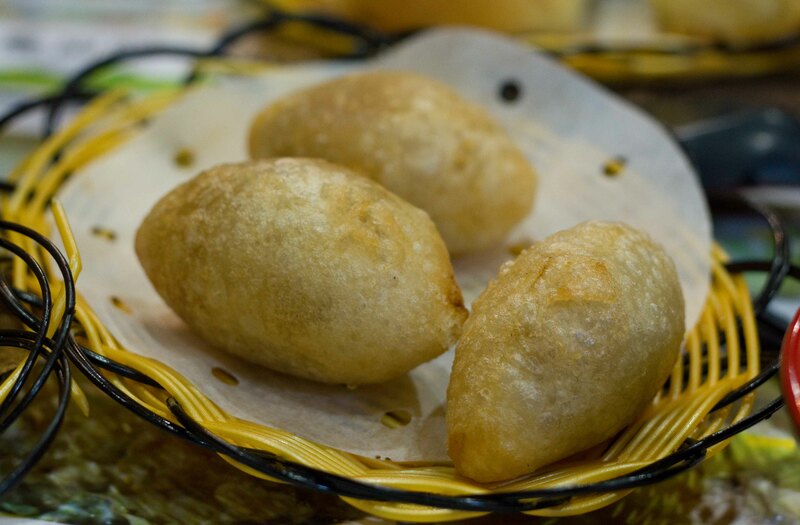 Deep fried dumplings filled with meat – aka “Footballs” were a bit on the oily side but I’m such a fan of the sweet glutinous rice that I forgave that. 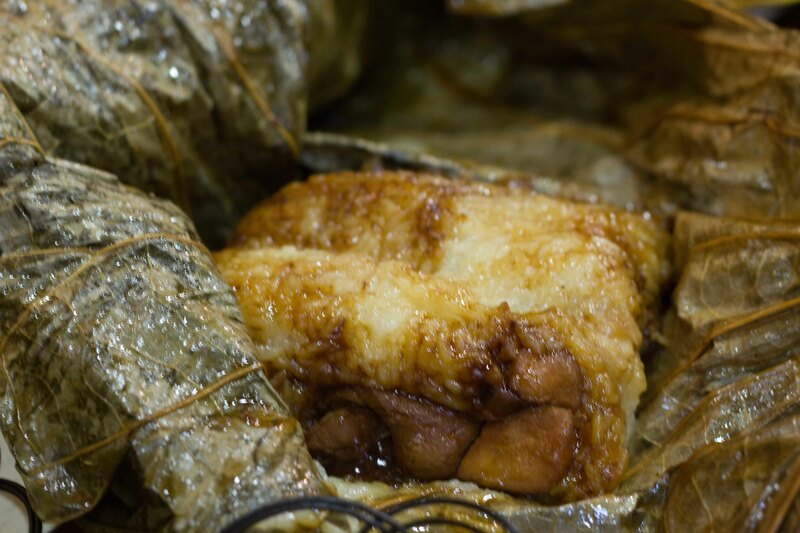 Glue rice dumpling wrapped in lotus leaf, aka Lo Mai Gai, aka sticky rice was just too filling for me to have more than a bite of. 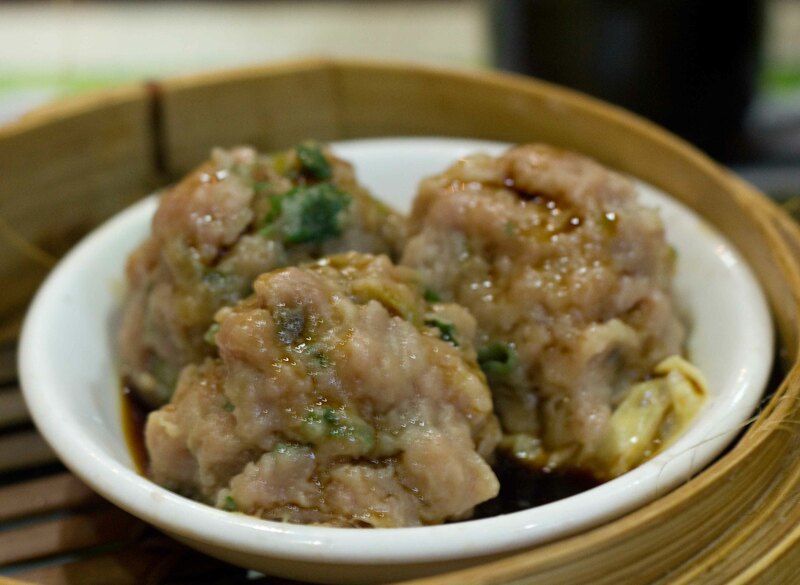 Steamed pork dumpling with shrimp, aka siu mai – never the tops of my list and I could usually go without. These were juicy and so very good. Steamed beef ball with bean curd skin – my least favourite item we had, not because it tasted bad, but because I couldn’t get over the springy texture of the meat, which I’m told is normal. 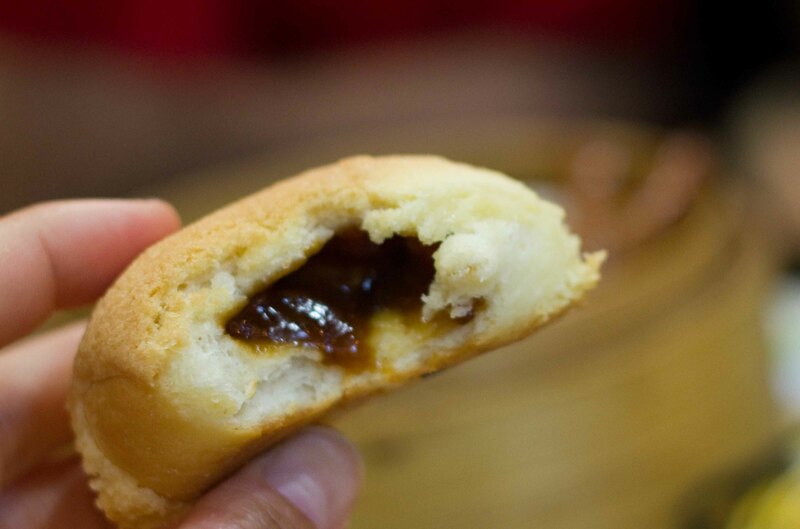 Baked bbq pork bun, aka char siu bao – this is their specialty and was better than any bbq pork bun I’ve ever had. The bun was crispy, light and sweet and held the wonderfully flavoured bbq pork. My first bite revealed the sticky sweet bbq pork inside. Yum! All that food that stuffed me and 3 boys came out to roughly CDN$28. Definitely the cheapest Michelin star dining that can be had. 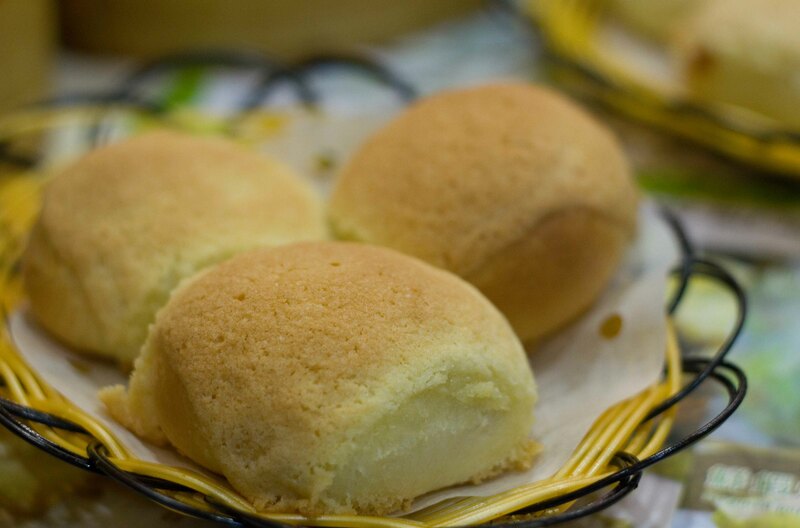 If Michelin stars are handed out purely based on the criteria that it is very good cuisine for its category, then I completely understand why Tim Ho Wan has one. 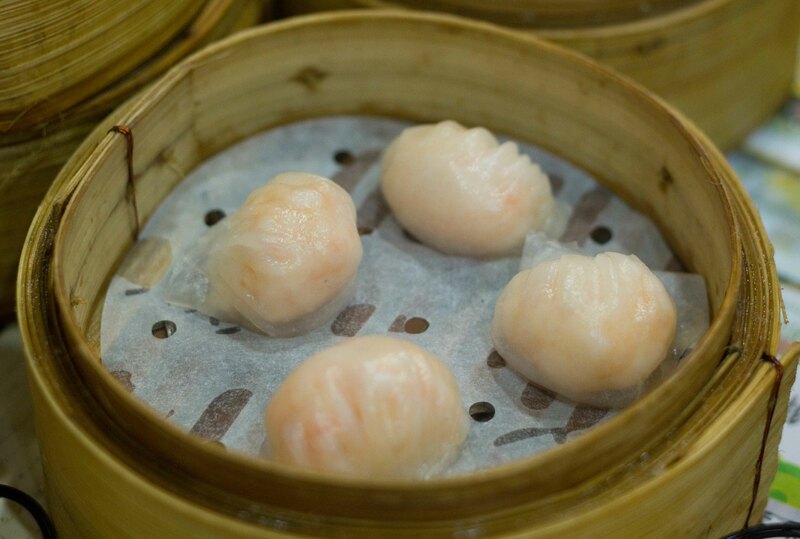 I was told by a friend that dim sum is better in Vancouver than it is in Hong Kong. Let me tell you, Vancouver ain’t got nothing like Tim Ho Wan! I want to thank John, Jamie and Trevor for accompanying me on this fantastic adventure. The first 2 for helping to navigate us in Chinese, (and because you clearly like to eat) and to Trev for being such a good sport and for trying chicken feet, (and liking it) for the first time. If I weren’t with you 3 boys, I never would have gotten to experience so much of the menu either, so thanks again!! !